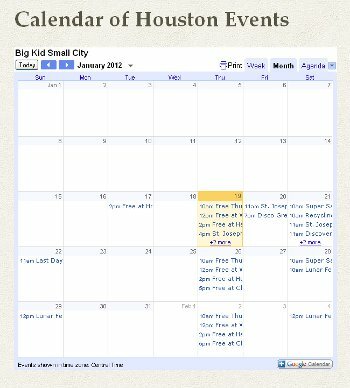 Check out the new Calendar tab on Big Kid Small City. I’ll be adding Houston events so you’ll know where to take your Big Kids. If you have an event you want posted, just fill out my contact form.